Black is the perfect accent colour to all your hen party decorations. 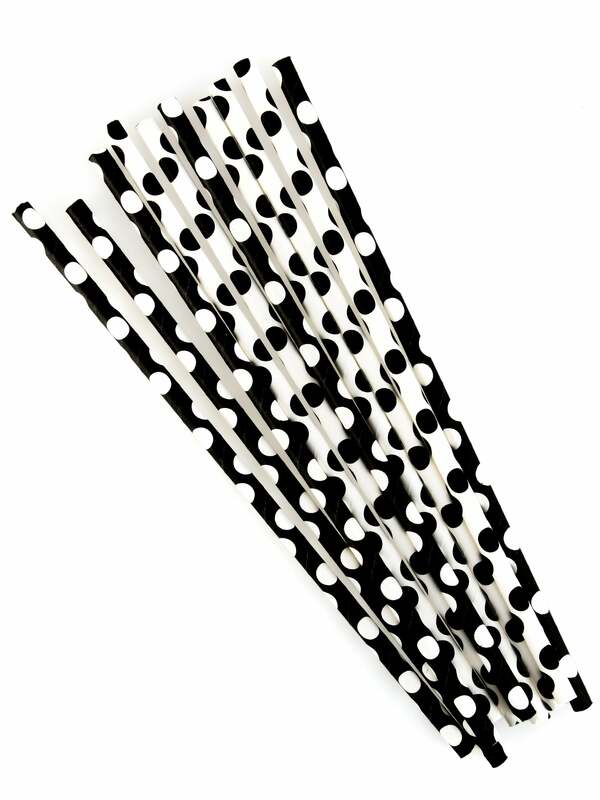 These funky straws feature alternative black on white spots and white on black spots. Paper straws have a really nice feel and quality to them.